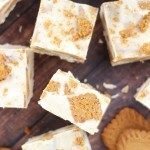 During the recent oven debacle, I couldn’t bake (or cook!) for almost two weeks. Both the oven and stove-top components were off-limits! In case you aren’t up to speed on the appliance problem in my household, I chatted about it here. In short, I pushed a single button to turn my oven to ON, and it just up and died. Sparks flew. It wasn’t pleasant. We went through the arduous process of selecting a new one, having it delivered, and getting accustomed to it. In a way, a new oven needs broken in. 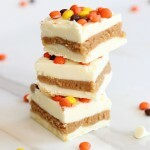 In the meantime though, I relied heavily on a few no-bake recipes to get us through. My S.O. can’t function without baked goods or sugary confections abounding. I certainly didn’t want to prevent him from achieving his necessary sugar comas, and I also don’t feel right if I’m not in the kitchen regularly whipping something up. 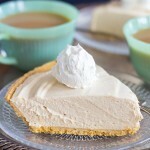 The tricky part about continuing to make desserts and sweet treats without a working oven/stove-top is that even many no-bake recipes still require a stove-top and the ability to cook. So yeah. This was tough. Tougher than I thought it would be. I was really limited here! I had to resort to recipes and creations that only needed mixing, basically! Or where a microwave was a suitable substitute for cooking on the stove-top… which isn’t a lot. Actually, I enjoyed the challenge of it all and it was kind of fun to think outside of my typical baking resources! Anywho, what did I manage to concoct? I sifted through soooo many cookbooks for no-bake recipes. I found a handful of favorites that have been in the family for years. But I also wanted to try a new-to-me recipe too. 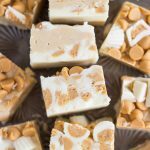 In the course of Googling no-bake recipes, I ran across one from Sally’s Baking Addiction, a blog I regularly follow, and decided to give it a go. What drew me to it? 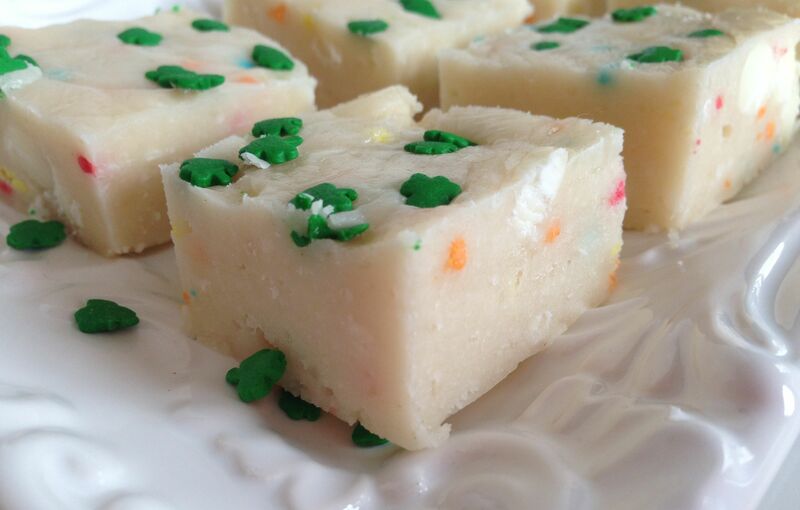 CAKE BATTER. Gaaaaah. Deliciousness. I heart it so much. 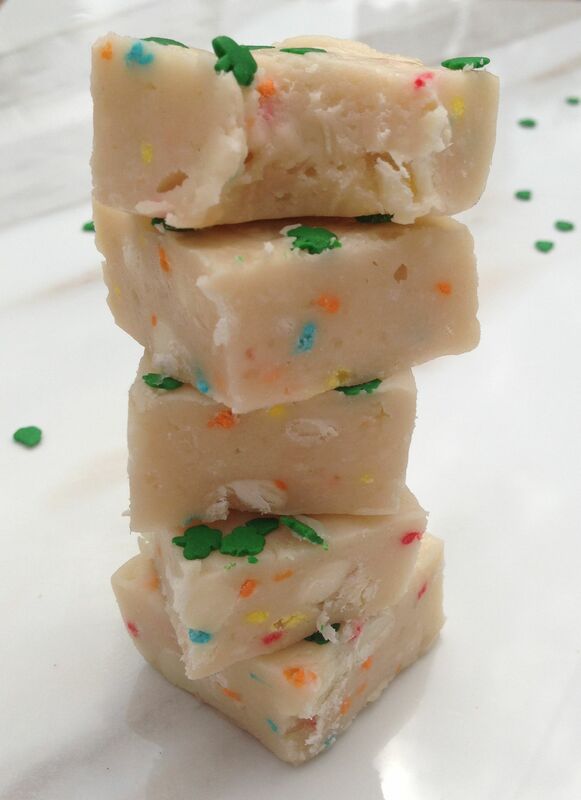 Cake batter ANYTHING! Few things are more enticing to me. I even love cake batter protein powder. Gross, right? 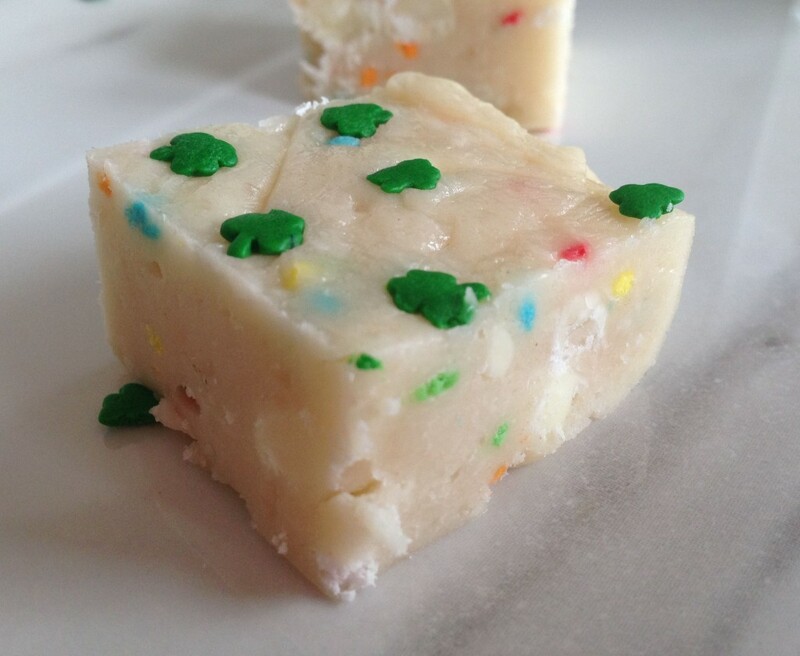 Well, this amazing Cake Batter White Chocolate Fudge was a total cinch to throw together. The ingredient list was short and simple and the instructions uncomplicated. Fancy equipment and appliances (even basic ones like ovens) were unneeded, thankfully. 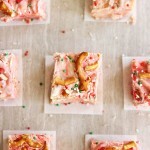 One of my very favorite things about this recipe too is that it’s versatile. 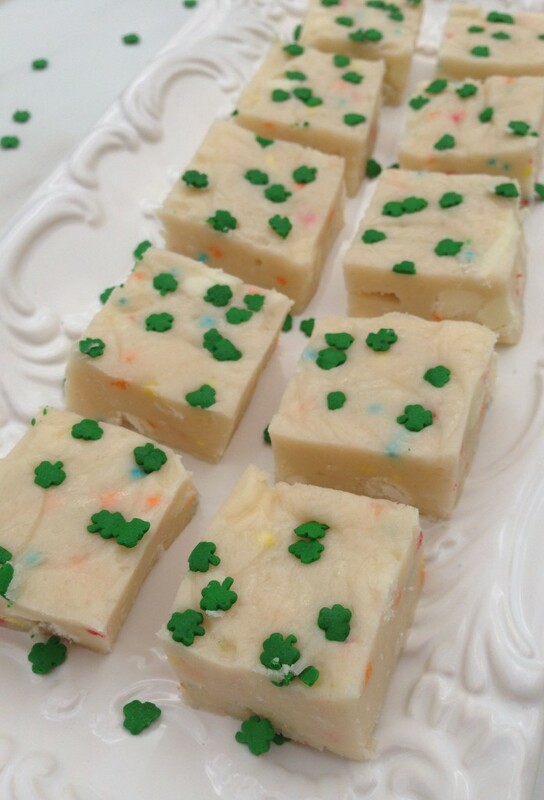 Any flavor of cake mix can be substituted to create a different flavored fudge. Love that! 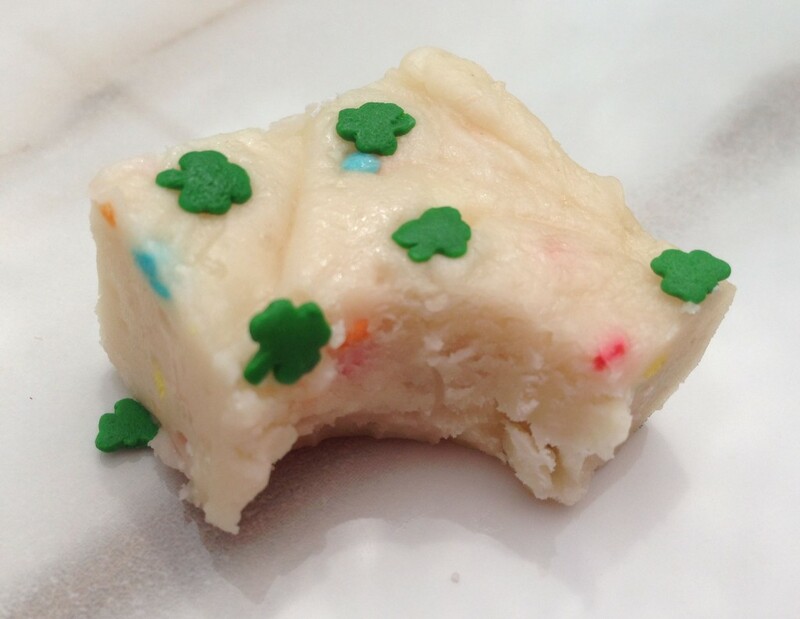 I substituted slightly based on what I had on hand, but the ultimate cake batter flavor is probably quite the same. 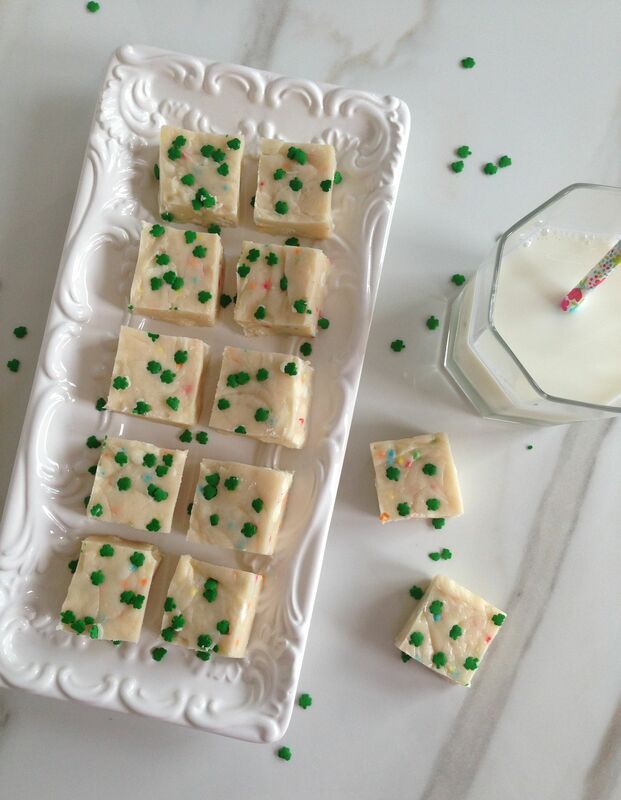 The flavors of this fudge are simple and to the point… you guessed it! Cake. Batter. YUM. Add to that flavor a few more of my favorite things. Sprinkles? Check. White chocolate? Check. It’s goooooood stuff. Try it and let me know what you think! 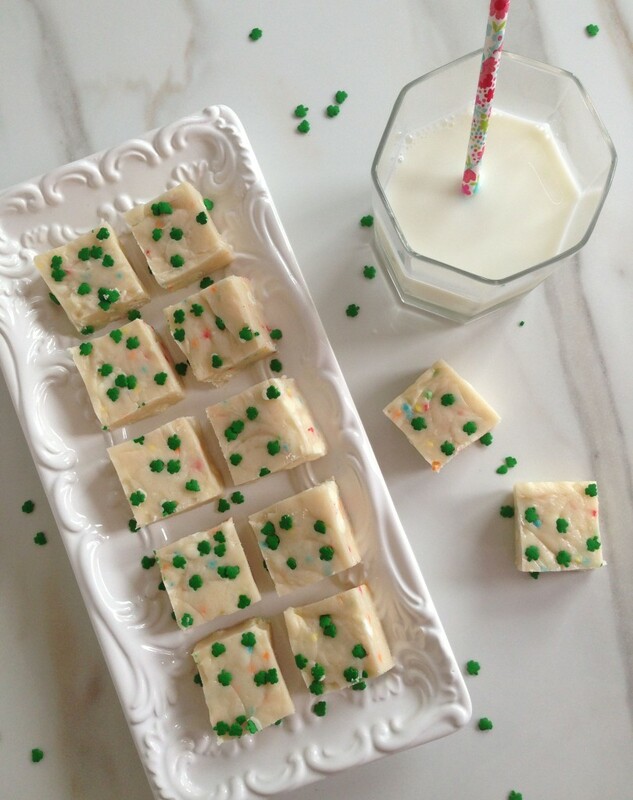 The recipe: Cake Batter White Chocolate Fudge via Sally’s Baking Addiction. 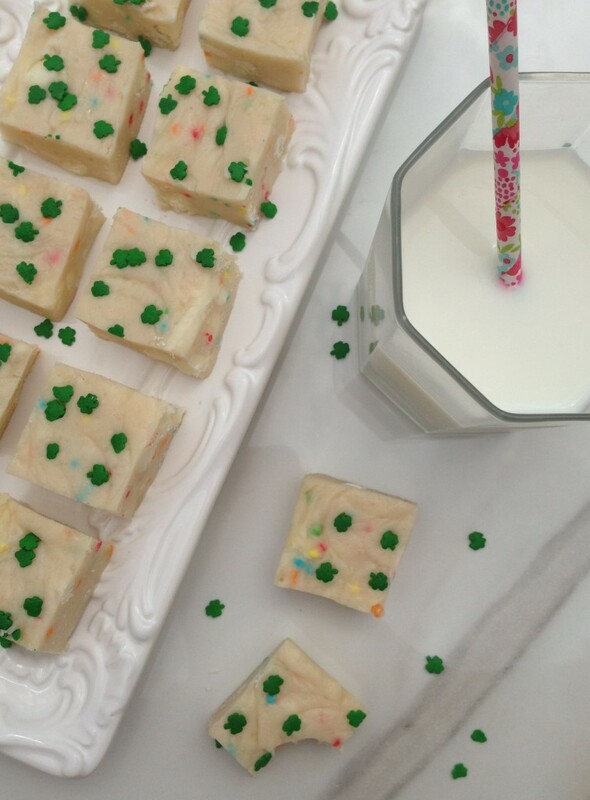 *I used a Confetti cake mix instead of yellow or white, and substituted a few shamrock sprinkles for regular sprinkles in the spirit of upcoming St. Patty’s Day!